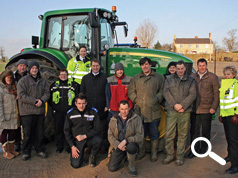 Thames Valley Police (TVP) and Aylesbury Vale District Council (AVDC) have joined forces with the UK’s only official security marking scheme for equipment, CESAR, to offer farmers in the Aylesbury Vale area the opportunity to have their machinery protected by CESAR at a discounted price. Foscote Cattle Market was the venue for an innovative event organized by Datatag, the company behind CESAR, where trained and approved technicians installed the CESAR security marking system on an array of agricultural equipment brought to the event by local farmers. 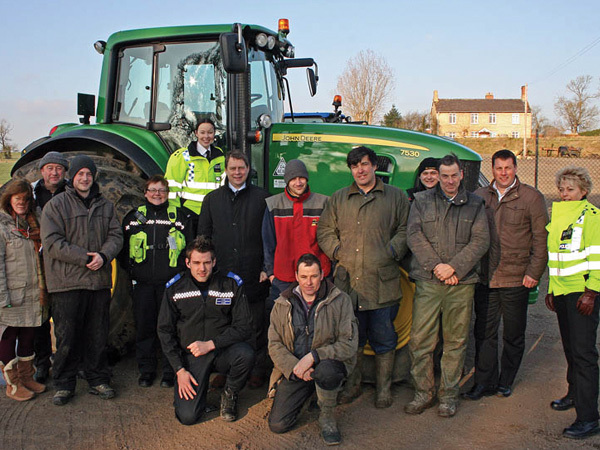 Inspector Emma Garside of TVP said: "Rural crime is an ongoing concern for the police service and the community. Thefts cause huge disruption to farmers and we encourage property marking schemes such as CESAR, which enable us to identify and recover stolen property far more efficiently, even where other identifying numbers have been destroyed by the thieves in an attempt to mask its identity. We know that stolen equipment is taken abroad, often within a few hours of it being stolen and we are working closely with colleagues around the country to identify those responsible and bring them to justice." CESAR works by giving each piece of equipment a unique ‘fingerprint’ using an array of high technology security marking devices including tamper evident triangular registrations plates (with a unique registration number for each machine) Radio-frequency identification (RFID) transponders, forensic liquid DNA, and microscopic Datadots®.